Happy Holidays to our underwriters, our listeners, and the entire WSLR Family. Join the Conversation tonight, Tuesday, Christmas Eve, December 24th at 6pm as Ryan and her sweet family celebrate the Holidays with songs and stories of the season. Have a favorite holiday tune to request? Please email us or post to our facebook page. Tune into WSLR 96.5 LPFM or online at wslr.org tonight, Tuesday, December 24th at 6:00pm ET. The program will also available later in the evening via podcast at maternallyyoursradio.com. 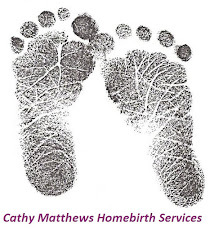 For more information or to submit questions for our hosts our our guest, please contact the hostesses of Maternally Yours at MaternallyYoursRadio@gmail.com, or on our facebook page at facebook.com/maternallyyours. Join the Conversation tonight, Tuesday, December 17th as Laura and Ryan meet Katrina Alcorn. 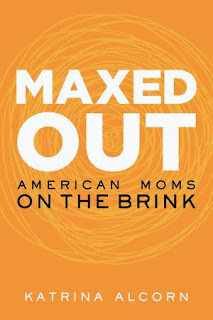 Weaving in surprising research about the dysfunction between the careers and home lives of working mothers, as well as the consequences to women’s health, Alcorn tells a deeply personal story about “having it all,” failing miserably, and what comes after, in Maxed Out: American Moms on the Brink. Ultimately, she offers readers a vision for a healthier, happier, and more productive way to live and work. Questions for our guests? Please email us or post to our facebook page. 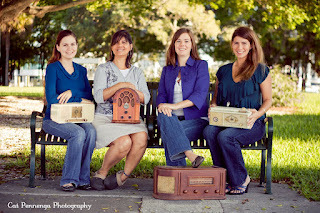 Tune into WSLR 96.5 LPFM or online at wslr.org tonight, Tuesday, December 17th at 6:00pm ET. The program will also available later in the evening via podcast at maternallyyoursradio.com. Join the Conversation tonight, Tuesday, December 10th as Cheryl and Carmela discuss children and language with award winning Language Education expert Ana Lomba. We'll get her best tips and advice on teaching a second (or third!) language to your young children, even if YOU don't speak a word of it! Join us as we delve into immersion techniques and the best materials and activities to help your children learn how to communicate in another tongue. Tune into WSLR 96.5 LPFM or online at wslr.org tonight, Tuesday, December 10th at 6:00pm ET. The program will also available later in the evening via podcast at maternallyyoursradio.com. Join the Conversation Tuesday, December 3 at 6pm ET as Carmela and Laura follow up our Adoption through Foster Care show with a deeper look at the Foster Care system. We'll talk to adults who survived the system, including our own Carmela Pedicini, as well as Regina Calcaterra, author of Etched in Sand: A True Story of Five Siblings Who Survived an Unspeakable Childhood on Long Island. We'll also be joined in the studio by Anthony Lerie, LHMC with the Florida Mentor Network, a local Therapeutic Foster Care agency. Have a question for our hosts or expert guests? Please email us or post to our facebook page. Tune into WSLR 96.5 LPFM or online at wslr.org Tuesday, December 3rd at 6:00pm ET. The program will also available later in the evening via podcast at maternallyyoursradio.com.